Northern Irish company, Rapid International is delighted to learn that it’s mobile continuous mixing plant has been used successfully in two environmental projects in Shanghai, China. Through a joint venture partnership with a UK based contactor, the Rapidmix 400CW has treated contaminated land on an old pharmaceutical factory site. In the same venture, it has also been intrinsic in the rejuvenation of an old steel factory site, rendering the site fit for other uses. The Rapidmix 400CW is a continuous mixing plant which is suited to concrete, construction and environmental applications. It is a totally mobile plant and completely self-contained with its own power source. It is fitted with a self-erecting system, using hydraulics, which means that the plant can change from travel mode into a fully operational within a few hours. The most recent model, the Rapidmix 400CW, used in these projects, now incorporates full weighing options for all materials: aggregates; cement and water. This new generation Rapidmix 400 CW offers record keeping that is automated, precise and detailed. 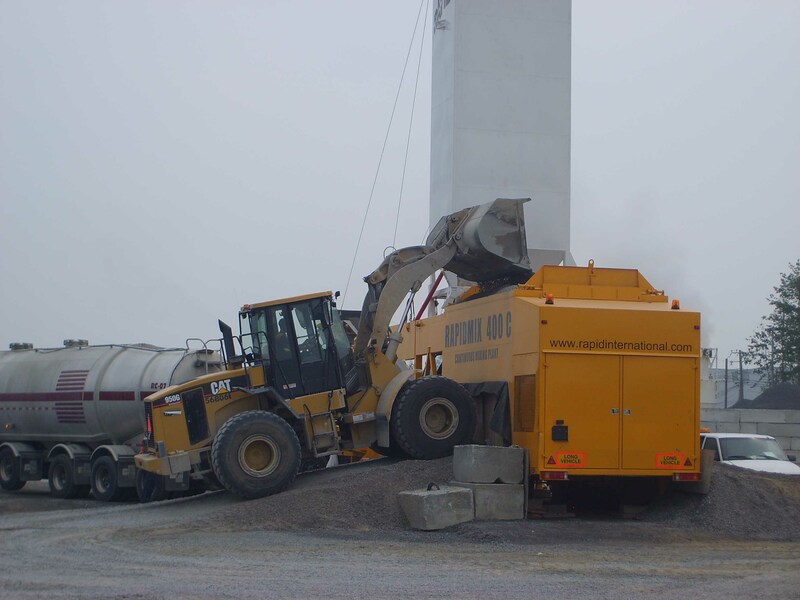 The Rapidmix plant is well suited to environmental applications, as it is to concrete and construction applications. In these Shanghai projects and other contaminated land treatments, untreated material goes through the Rapidmix aggregate bins. Neutralising additives are then added from the on-board silo. 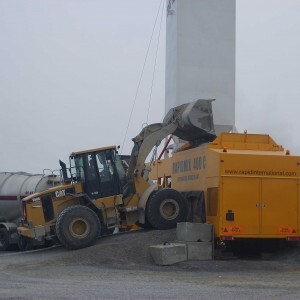 All materials are mixed through the twin shaft continuous pugmill mixer and then the mix is transferred onto the outgoing conveyor and discharged through the gob hopper. On major projects such as this traceability is important and the proportioning of different materials can all be carried out through the control panel. A printer is fitted for tickets or reports to be generated. Variable speed drives, allow the feed rates of materials to be adjusted according to the recipe. Other environmental uses for the Rapidmix 400C are utility waste; reclamation, Roller Compacted Concrete and bentoite for lining quarries & dams.